If I go back only ten years I could have written a list here of nearly a hundred film and television production companies who would accept scripts submitted by new writers (writers they didn’t know, and who didn’t have an agent). I know because I made a living reading for about twenty of them. Sadly, that is no longer the case. 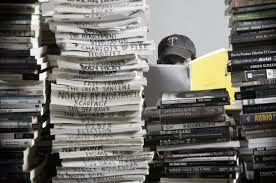 It costs money to employ readers to plough through tens of thousands of scripts each year. The reality is that of those thousands of spec scripts, only a handful will be good enough for the production company to want to develop it and try to get it made. In essence the return on the money invested in reading unsolicited scripts is too small to make it viable for most companies. However, maybe you are that one in ten thousand whose script is pretty much perfect but you don’t yet have an agent or any credits or a script competition win to your name. So how do you get a production company to read your script? Well, there are still a handful of places accepting unsolicited submissions. But remember – you only get ONE CHANCE to impress so make sure you’ve had constructive, professional feedback and rewritten it so that it really showcases your writing. I’ve listed below all the places I’ve found that do still accept unsolicited script submissions. Check out their websites and follow their submission guidelines. If in doubt, contact them and ask what their policy is. BBC Writersroom – not a production company as such but as part of the BBC the Writersroom has the connections within the organisation to connect you and your project with the drama production part of the BBC. BFI Film Fund – a funding source for script development and production but they are looking for submissions ideally from a team that can get the film made (writer/producer/director). Shooting People – online pitching available. Subscription required. Do bear in mind that I’m not recommending these production companies, I’m just pulling together information that’s already in the public domain. It’s up to you to do your homework. It’s also worth looking at emerging producers who are starting to get films made and might be looking for new projeccts. Look at who is being awarded funding by schemes like the BFI Film Fund or iFeatures2. ‘Submitting To Companies That Don’t Take Unsolicited Material’ by Ashley Scott Meyers.